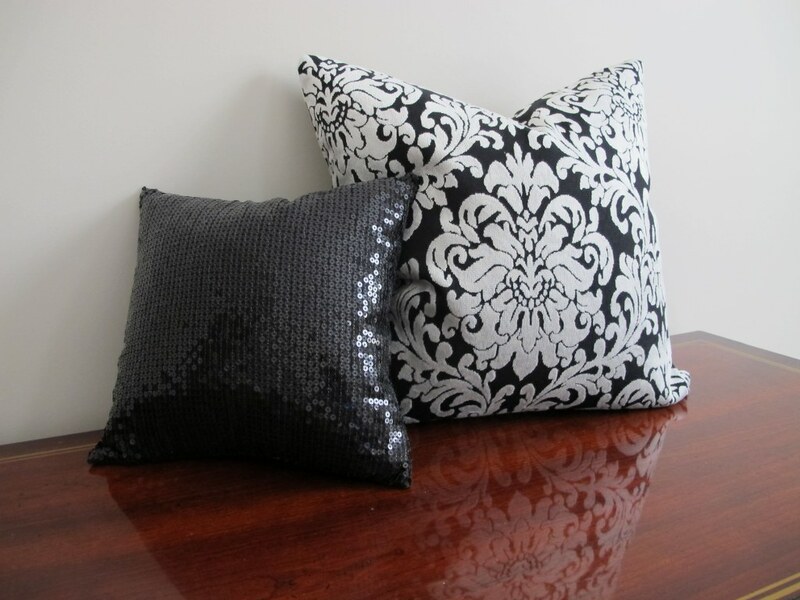 I am loving my new decorative pillows! Originally I had faux sheepskin pillows in my living room but they scream autumn and winter. While I love my faux sheepskin pillows, it’s time for a seasonal change. 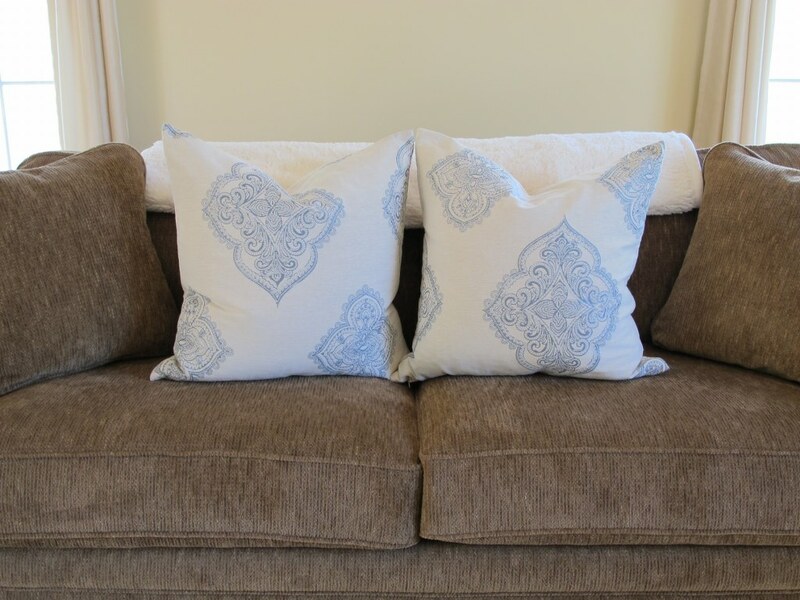 Pillows are an inexpensive and easy way to make over a room. There are so many options to choose from, whether you’re looking for a particular size, style, color, or pattern. Plus they come in all price ranges to fit within your budget. You can find them at so many places, like furniture stores, chain stores, home decor stores, and on line. They enhance the decor of your room. They are a great way to add a pop of color. They are functional because they are comfy. 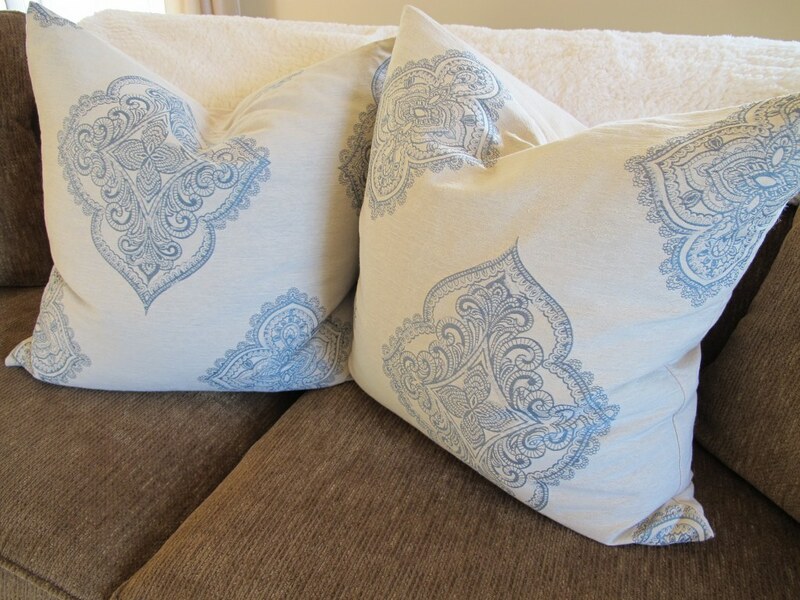 I chose these pillows because I like neutral colors and the pattern is fresh, reminiscent of the spring and summer time. They also coordinate nicely with the area rug. 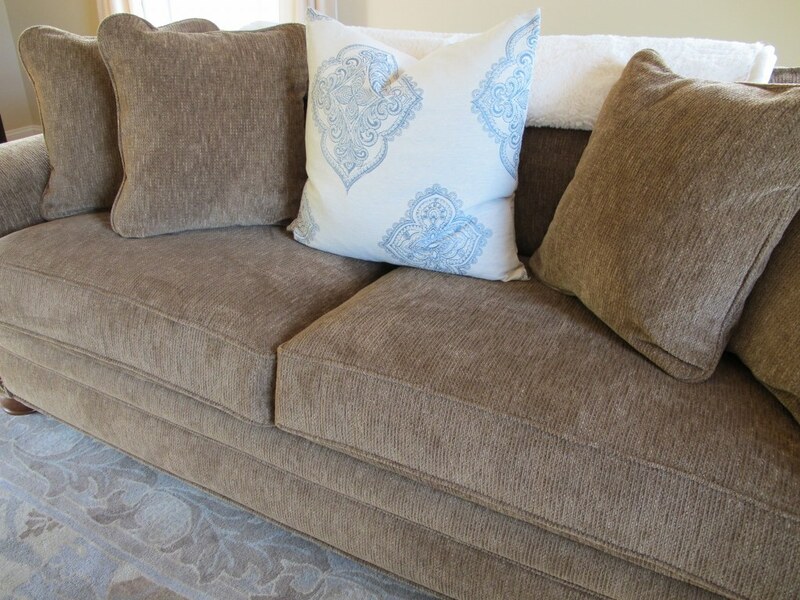 The turquoise in the pillows bring out the bluish-grayish color in the rug. The turquoise embroidered pattern has sort of Mediterranean flair, which I love. You can keep your pillows all the same color. Alternatively, you can combine fabrics and patterns, like I did for my spare bedroom (see my Pillows for a Nook post for more details). Choose what makes you happy to create your own personal style in the room. I also like to use pillow covers because they tend to be cheaper than a pillows. Plus they are easier to store away when you want to change them. It’s really hard to go wrong decorating with pillows. Simply throw them on a couch, bed, or nook and viola! 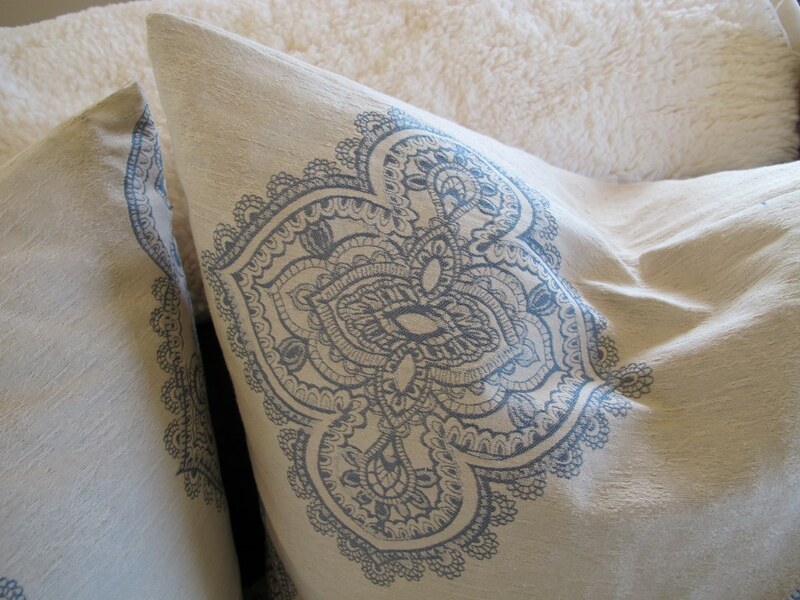 For other pillow decorating ideas see Pillows for a Nook. For other decorating tips see Decorating a Vignette 101. These pillows are from Bed Bath & Beyond. Note: Not a paid advertisement for Bed Bath & Beyond. I’m just sharing my opinion.